Kissing the Mango Tree is the first and only book to examine the works of the most popular Puerto Rican women writers from the perspective of feminist literary criticism. Rivera reconstructs the ethno-feminist aesthetic of Judith Ortiz Cofer, Sandra Maria Esteves, Nicholasa Mohr, Aurora Levins Morales, Esmeralda Santiago and Luz Maria Umpierre-Herrera. CARMEN S. RIVERA is a professor of Spanish at Fredonia University, where she teaches Spanish language and literature and Latino literature. Born and educated in Puerto Rico, she received a Ph.D. in Comparative Literature at the University of South Carolina. 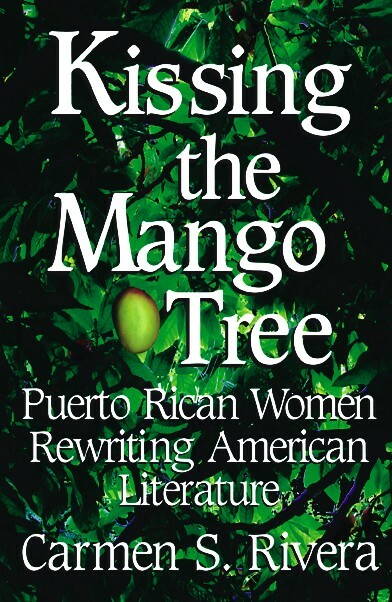 The author of Kissing the Mango Tree: Puerto Rican Women Rewriting American Literature (Arte Público Press, 2002), Dr. Rivera is currently working on an oral history of the Latino community in Union County, North Carolina. Learn more by visiting her faculty page.